This toy is handmade by Tamara and will ship separately from the rest of your order. These toys are made-to-order. Please select the type of bird she will be making them for! Click the inset picture to see what other designs that have been used. Every toy is unique! 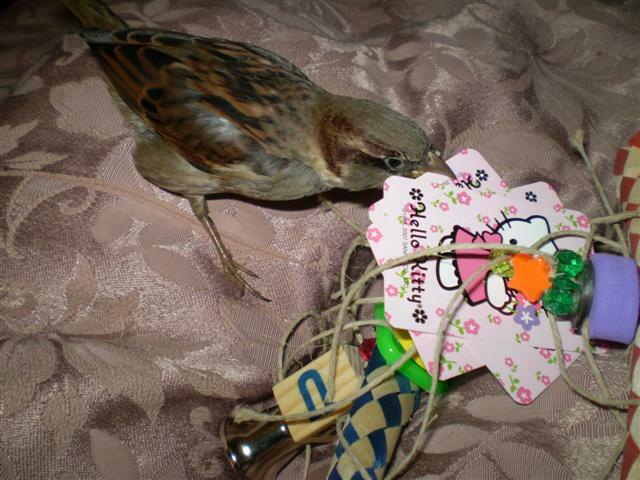 If you want your bird's name in the toy, I use small beads (appropriate for small birds only) and will personalize it! Just select "Yes" and then put your bird's name in the comments section when you check out! Spoggy, in Australia, likes this toy!